I am a wash and go queen year-round and I even live in a climate with all four seasons to reckon with. With a love for the wash and go in all four seasons, I have to think outside of the box for reducing manipulation. No, I do not want a wig, weave, or an intricate braided updo to protect it. I prefer being a loose free natural and actually, I should not have to alter my hairstyle to protect it if I can find ways to protect and rock it as I please. Is this impossible? Not at all! First off, let us dispel the myth that the only way to retain length is through protective styling, especially with extensions. Many still believe this to be true when there is another way to retain length without protective styles, low manipulation styles! A style that requires low manipulation and will keep your hair away from your clothing and pollutants will protect your curls from frequent handling and friction that causes damage ends. Low manipulation styles are simple and require little to no maintenance to your hair as possible. The less you manipulate it, the less unnecessary damage your hair will incur, which means more length retention. 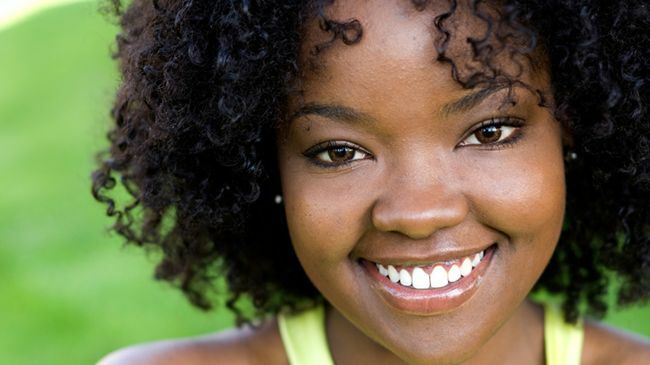 Great low manipulated styles include wash and go’s, natural two-strand twists, and roller sets. Love them! They are stylish, funky, fun, and a great way to keep your hair protected year-round. From winter to summer a head wrap is always the perfect way to protect your hair from the UV of sunrays to the snow and dryness of winter. You will never have another bad hair day with head scarves around. Your choice in patterns and colors are as plentiful as the styles. Another way to protect your strands while being stylish is incorporating a hat. Hats will always be in style and add just the right touch to an outfit. They are also great at keeping your strands away from pollutants, sunrays, and of course those bad hair days. The only concern is the lining of the hat but many small businesses are catching onto the curly girl plight of protecting the hair so they are adding satin linings to beanies, fedoras, and slouchy hats to ensure your style does not come at a cost to your curls. If there is no satin lining then cover hair with a satin bonnet, scarf, or loc soc and rock your hat all day long. These timeless styles are cute whether you are natural or relaxed. It has not changed much over the years, other than new innovative tools. You can use magnetic rollers, flexi-rods, perm rods, and even straws to achieve hot looking styles. Rollers sets are skilled at giving you maintenance-free styles that will last for at least a week. Another great asset of the roller set is silkier styles that can be achieved with or without the dryer, so if you hate the hooded dryer with a passion like me, you can still achieve an amazing roller set by air-drying. Yes, I had to discuss how the wash and go can actually be a low manipulation style although it is not a protective style. Wait…huh Remember, a protective style is a low manipulated style, and the although a wash and go is not a protective style, it can require low manipulation. It takes a good routine just like any other hairstyle and even though I cannot get a wash and go to go as long as the video below, I can use low manipulation. The shrinkage keeps my hair from brushing up against my clothing, which causing friction to my ends. See…shrinkage is a good thing! For a low manipulated wash and go just cover your hair either with a satin bonnet or scarf or pineapple it up and either lightly fluff or refresh in the morning. Each day will either loosen the curl or allow the hair to get bigger, but often the older the style the better it begins to look. The only opposition to a wash and go being categorized as low manipulation is if your length requires refreshing more than once a week or if your overnight technique does not preserve the elongation. Refreshing one’s hair every other day works for some people, but then this would not be low manipulation for them. Ok, now it is your turn. What are your favorite low manipulation styles?